Grow your email list by collecting your visitor's info, engage them with promotional pop-ups or simply create a 'thank you' message. Drag & Drop pop-up builder at it's best! 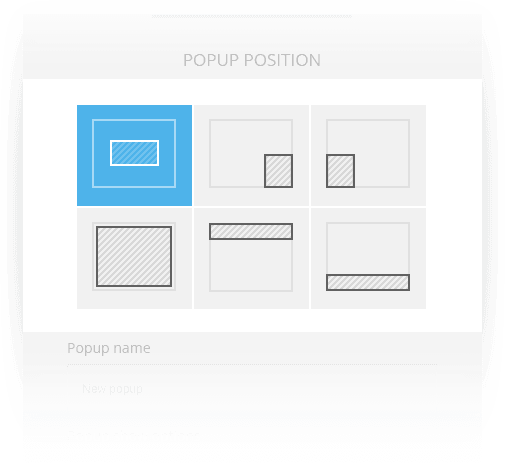 There are five different content layouts for your popup and all the settings you need to personalize them. You have six different popup positions to choose from. Perfect for various occasions such as email collection, promotional giveaway, discounts and so on. Pick one of the amazing designs and make your website even more engaging and awesome.